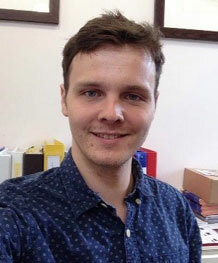 Matthew is a graduate research assistant currently working on a study in Clinical Communications, with Professor Rose McCabe. Having joined in June 2018, his main responsibility in this role is to support a study of professional-patient communication in cases of self-harm and attempted suicide. Matthew originally joined the Medical School in December 2016, working on the TIME project (‘The impairment of memory in Epilepsy’). In this role he worked primarily on an investigation of memory difficulties experienced by people with Transient Epileptic Amnesia (TEA), as well as supporting the work of the project in a number of other studies. Matthew is a graduate of BSc Psychology at Bangor University, as well as MRes Psychology from the University of Bath. During this time, he worked on research projects looking at a range of phenomena, such as working memory, global and local processing mechanisms and autism spectrum disorder. These experiences have fuelled a keen interest in cognition and neuropsychology, and a passion for working in academia.